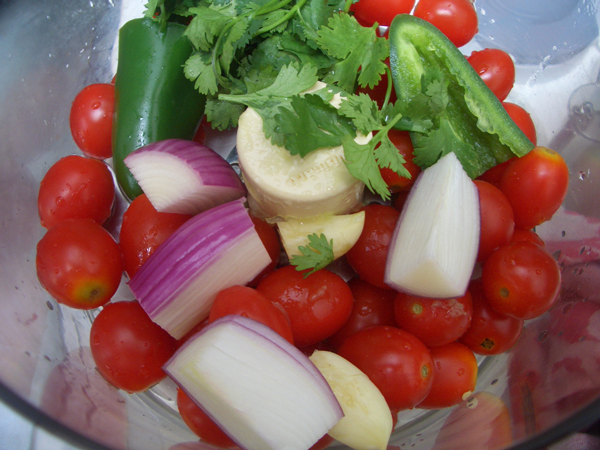 I love a chunky pico de gallo as much as the next person, but sometimes I prefer a nice blended salsa, and let me tell you why… It’s clingier. It sticks to the chip, as opposed to dropping and plopping down the front of your shirt. It’s also easier than chopping each ingredient into small chunks. 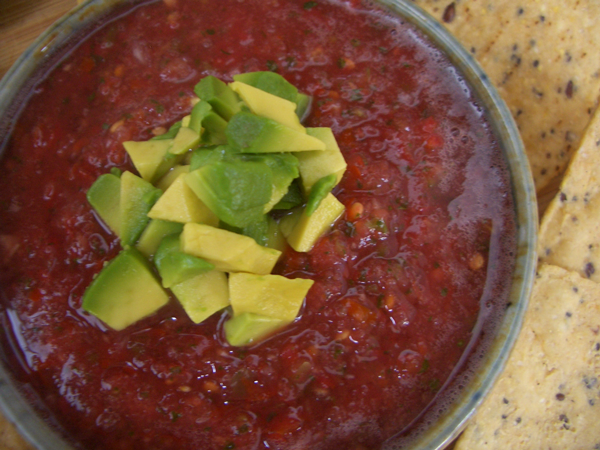 The first blended salsa I ever made was this one, and it was pretty fantastic. But it uses canned and dried ingredients, and we’re in the midst of summer’s bounty, so fresh rules the day. *How much jalapeno you use, and what of it you use, is up to you. 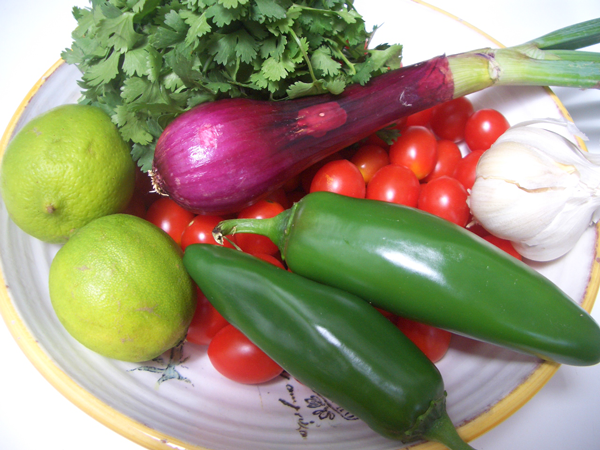 The majority of the heat and is in the ribs and seeds, so remove those if you want a milder salsa. It’s not a bad idea to wear gloves when cutting hot peppers and chiles to keep the capsaicin from getting on your skin, otherwise you might experience a burning sensation in your hands for quite a while. Put all the ingredients, starting with a 1/4 teaspoon of salt, in a blender or food processor, and whiz until it is uniformly pureed. Add more salt to taste.